Buy a timeshare resale at the Four Seasons Fairways and you'll always be smiling !!! The Four Seasons Fairways is an all villa resort, some with their own pools !!! 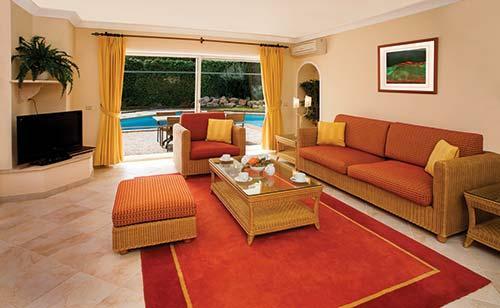 The villas are furnished to an extremely high standard with every convienience to enjoy your holiday. The resort has a leisure centre for the more active and an amazing pool complex for those that want to relax around the pool. You can dine at the fantastic restaurant on site or order in and cook al fresco at your villa. The Four Seasons Fairways is the perfect place to unwind.